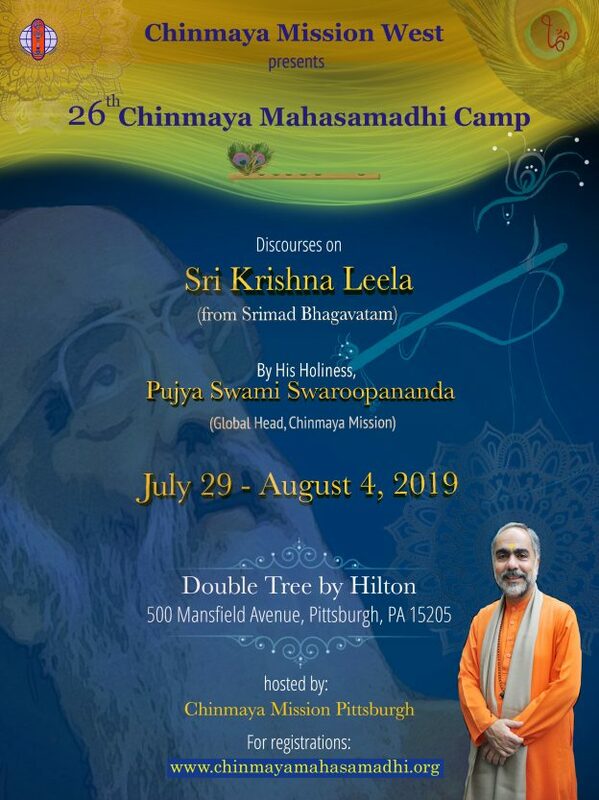 The 26th annual Chinmaya Mahasamadhi Aradhana Camp, hosted this year in Pittsburgh PA, is getting closer! In this message, we wanted to highlight the three main discourses that you will hear during the Camp. Krishna Leela is at the heart of the Bhagavad Purana. After Parikshit, the grandson of Arjuna, finds that he only has 7 days to live, he views it as a boon and seeks to spend his final days hearing about the stories of the Lord. The lessons of Bhagavad Purana were taught by Sukhdev, the son of Bhagavan Veda Vyasa. While Bhagavad Gita taught Arjuna how to live, the Bhagavad Purana is a beautiful lesson in how Parikshit chooses to spend his last week. If we make our mind into Vrindavan and let Krishna play in the mind anyways, all negativities get conquered. If we listen to Krishna Leela with an open heart, we learn how God loves us and how spirituality can be lived in day-to-day life. In today’s fast-paced global age with innumerable distractions, how do we recognize the depth, the beauty, and the love all around us? Pujya Swami Swaroopanandaji will be using Krishna Leela as a beacon that will guide us on the inner journey towards spiritual triumph and effortless meditation. At the 2019 Mahasamadhi Camp, Swamiji will help us understand not only the story of young Krishna but also the parallels between His life and that of Balakrishna Menon, better known as Swami Chinmayananda. The 8th chapter of Srimad Bhagavad Geetha, entitled Akshara Brahma Yoga, is an answer to Arjuna’s 6 questions. The Lord talks about Saguna Ishwara Upasana (contemplation upon God with form) and Krama Mukti (gradual Liberation). He also gives insights into what happens to the soul after death. A profound teaching, Lord Krishna initiates the dialogue by stating that the mind centered upon the Lord is the one that attains Liberation. He goes on to enumerate the methods through which it can be achieved. Dwelling on the relationship between the manifest (gross) and the un-manifest (subtle), He draws out our essential nature as that of supreme Brahman. 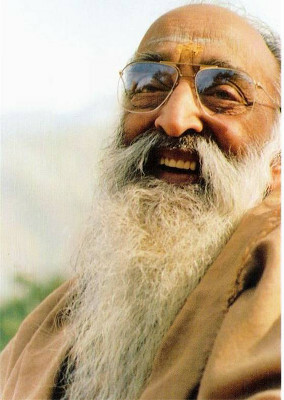 Pujya Swami Shantanandaji will use his a gentle style to help us understand powerful insights from the Lord’s teachings at the 2019 Mahasamadhi Camp. In the Uttara Kanda portion of Tulsi Ramayana, Lord Rama gives a sublime message of Dharma in His first address to the people after His coronation as the King of Ayodhya. Just as the Lord established the foundational principles of Dharma to the residents of Ayodhya, Pujya Guruji Swami Tejomayanandaji’s brilliant commentary re-establishes this message in our hearts. Swami Prakashanandaji will continue the tradition as he continues to pass on the message and meaning of Dharma to the attendees of the 2019 Mahasamadhi Camp so that we may be able to live our lives filled with purpose and love. Many dignitaries! Other beloved Swamis and Swaminis will grace the Camp by their presence, including Swami Ishwarananda, Swamini Kaivalyananda, Swami Sharanananda, Swami Sarveshananda, Swamini Shivapriyananda, Swami Shivatmananda, Swami Siddhanandananda. We will also have other illustrious teachers including Dev Singh, Dhiren Khatri, Gina Singh, Priya Maini, Rahul Maini, Sachin, Shankar Rajupet, Sharada Kumar, Shubhani Chaitanya, Suman Rajupet, Vijay Gupta, Vilasini Balakrishnan and Vivek Gupta. Parallel programs based on age: Kids age 4-17 will have their own programs, so parents can attend the adult program without any worries about childcare. We will also have distinct programs for Chinmaya Yuva Kendra (CHYK, age 18-28) and Setukari (age 29-45) groups. And much more: Our organizers want the Camp to be memorable in other ways as well. We will of course have great food every day, but on the final night, we are planning a banana leaf dinner to give the attendees a truly traditional Indian sendoff. Our younger attendees will even have access to a full-fledged Sportsplex, where they can play soccer, basketball and other team sports. We’ll have a performance by Yuva Rhythms, and an amazing live painting session where artists will create paintings real-time in response to devotional Abhangs. And there is even talk of a flash mob during the Camp (Satvic style, of course)! To learn more, please check out the video we made about the Camp, and please also check out our website.You can also check our our FAQs or send question by email to the address shown below. Or maybe you just want to REGISTER. Don’t forget that you can get an additional discount of $50 discount per person if you or someone in your party submits a contest entry. This entry was posted in Upcoming Events on March 24, 2019 by admin.